Big data is often touted by agencies across industries as a cure-all to all advertising challenges, but what does all that data really apply to? Big data is more than just a buzzword, and it turns out that data and analytics have applications within a variety of markets. For communications professionals, data can inform marketing tactics and advertising budgets. Metrics help us understand consumer behavior, public perception, and user experiences. These are all valuable insights for any business, but the real challenge lies in telling the story behind those numbers. How can we digest the information that data is providing, and how can we explain these insights to others? 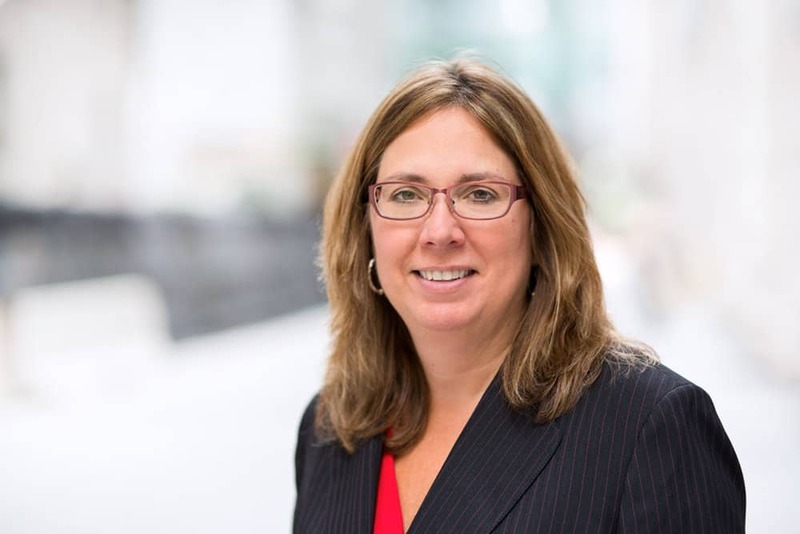 To get a better understanding of the world of data and analytics, we sat down with Michelle Sexsmith, Senior Vice President & Practice Leader at Proof Analytics. Michele oversees a range of client projects, and her work varies from helping retailers determine the best sites for opening stores to developing the optimum media mix for reaching targeted customers. We spoke with her to learn more about what analytics can provide to clients. How do you guide your clients in understanding which metrics are most informative for their campaigns? We first discuss the business challenges the client is facing and their internal goals. From this evaluation, we can recommend specific metrics that should be used to understand their starting point and can measure progress on a regular basis toward meeting their goals. Analytics and strategy go hand in hand. How do you use insights from analytics to help inform strategy? This depends on the client situation, as each clients’ strategy is unique, and so are the analytics that can best be used to achieve that strategy. For instance, a client may wish to understand untapped segments of the population in order to grow their business in a different direction. In this case, a deep understanding of that untapped segment can help the client determine how best to engage that audience to expand their business. By understanding the mindset, media preferences and related lifestyle characteristics of this new segment, strategists can determine the appropriate mix of internal and external communication, marketing planning and operational changes to expand successfully. How do you tell a story with analytics? While we start with the data to provide a lay of the land, it is important to assess the data in light of brand and business goals, so that opportunities for strategy and tactics are clear. We “connect the dots” for the client by explaining what the data really say about the consumer segment and what messaging would resonate with them. Linking transactional or demographic variables to data on mindsets and motivations often yields powerful insights on the “why”, helping humanize customer segments and establish a clear direction for communications. As much as possible, we put ourselves in the client’s shoes so we can determine how they consume the analytical results and understand the next steps to apply both to their day-to-day activities and overall strategy. We often find that a visual approach – backed by specific data points – succeeds in fostering engagement with the information. What is the most challenging part of gathering and interpreting analytics? The most challenging part is creating a balance between staying true to the data while making the interpretations that are needed to tell an accurate and meaningful story, especially when the results run counter to the client’s view of their world. A clear understanding of the client’s business needs helps us keep the appropriate focus and navigate these situations. Recall an important discovery you made with analytics. We helped one retail chain identify where they should place their North American-branded stores in order to develop highly profitable locations in record time—compared to their stores globally. We discovered multiple segments within their consumer base that helped inform where potential locations should be placed to target those specific segments. What advice would you give to a marketing or communications professional interested in learning more about leveraging analytics? There is a wealth of information already available about consumers at the neighborhood level to use for analysis, so integrating that information with internal data sources provides analytical leverage quickly. Start with what is known and then identify the gaps that will help you reach your goal. What are your go-to industry sources for insights and trends? We utilize many sources to stay on top of trends, through the CMA, industry-specific sources such as Retail Insider and many others, as well as more general sources such as The Economist and the Harvard Business Review. If there’s one thing we have learned from Michele at Proof Analytics it’s that data can tell a powerful story. Whether you are providing web and social audits for pro-bono clients or corporate brands, you should be leveraging data to understand and meet your goals. For retailers, data informs business decisions and for communicators, they inform marketing strategies. At Proof Analytics, they are committed to the numbers and understanding what they mean. Want to learn more about how data can inform strategy? Find out which metrics matter the most for your communications efforts here.